Here’s a trio of photo postcards with no message or postage. I think these postcards may have been produced by a family member and shared with relatives and friends. In person, these photos have a metallic sheen appearance when the light is reflecting just right. Here’s Harve and Ed Knadle posing with a wood saw. 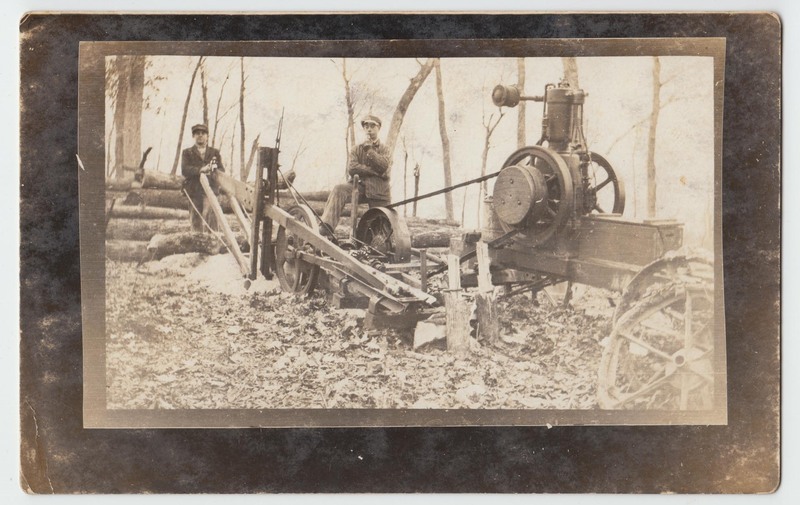 These men cut down the trees, sawed the logs and milled their own boards. I’m not sure who’s all in this car but there are five people inside. 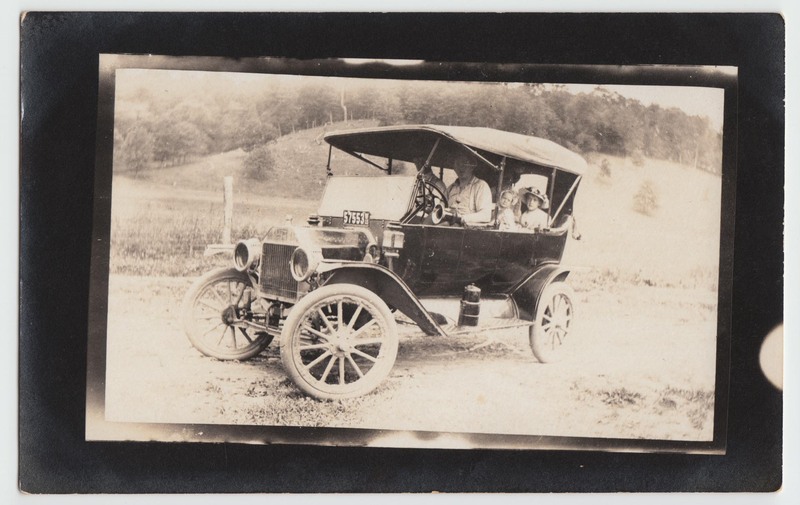 Two men in the front with a lady and two children in the back. 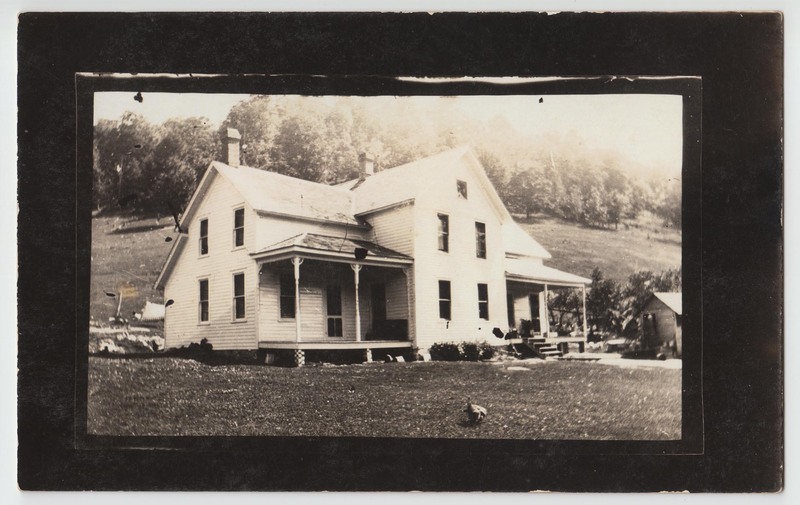 Home place of Grandma & Grandpa & Ed Knadle set at the foot of a forested bluff. There’s a chicken roaming in the front yard. 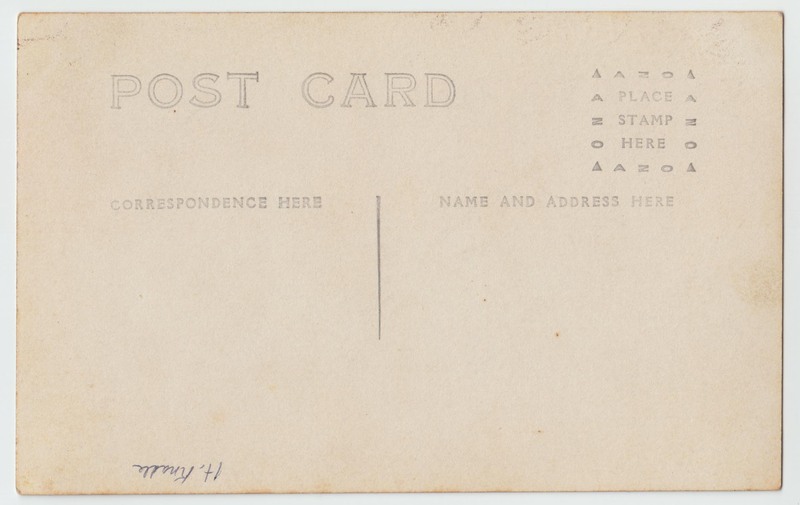 All three postcards have an identical back and each has, H. Knadle, written neatly.